Paul Feyerabend’s essay “Against method” (1975) is rarely mentioned when scientists try to contextualise and justify their research projects. Or at least I have never come across this piece as a positive reference in a proposal submitted to me for review nor have I ever heard it referred to positively in a talk. Well, except if the writer or speaker is intent on making a difference, polemically of course. Along lines such as these: No! Of course our outstanding study doesn’t believe that “anything goes”, but adheres instead to correct methodological awareness! Here order prevails, so please just disburse those third-party funds, if you wouldn’t mind! So there is no clear difference between myths and scientific theories. Science is one of the many forms of life that humans have developed, and not necessarily the best. It is loud, cheeky, expensive and striking. But in principle it is superior only in the eyes of those who have already taken a certain position or who accept the sciences without ever having tested their merits and weaknesses. No wonder that Feyerabend’s essay, which first version appeared in English in 1970 and was hugely successful in its time, is taken off the bookshelves of university libraries merely for introductions to epistemology, as the vast number of student papers found online reveals. The reason is that Feyerabend, beyond his epistemology, presents himself in “Against method” as a “epistemological anarchist” or even as a “Dadaist” and even pleads for a new laicism, a separation of science and state. Well, it could be argued that the purportedly neo-liberal idea of withdrawing basic funding from higher education might even hold out the promise of fulfiling Feyerabend’s anarchistic wish, as a late ironic nemesis. That, however, is certainly not what the university professor wished for, as it would have made both him and his existence impossible. And, of course, while none of us would like to be associated with this argument, it is still worth pursuing Feyerabend’s approach a bit further. First of all, Feyerabend’s idea that “science [is] one of the many forms of life that humans have developed…” is actually a cultural anthropological perspective, applied here with the greatest consistency to scientists themselves. We are “missionaries in a rowing boat,” to quote Bernard S. Cohn, even if we are talking about missionaries in a rowing boat. Our culturality is the evil hedgehog that is hounding the eager (project) bunny to its death. As idiots, true to the word’s Latin etymology, we have always been right there before arriving at our ideas, techniques, theories, and first and foremost our questions, which we direct towards real-world phenomena by making them objects of investigation. That is to say, and this is where the strands of cultural anthropology and hermeneutics converge, as inhabitants of culture we always live in a complex system of tradition, in a Gadamerian history of effect (or so-called effective history), before even conceiving a project and, of course, while carrying it out and interpreting its results. As researchers, equipped with cognitive faculties and interests, we inhabit several worlds at one and the same time. Feyerabend highlights two key facts: that these worlds interact and that our underlying assumption, that we can now control the fundamental cultural contingency of our gaze with three or four methodological standards, an impressive vocabulary and some formulaic hocus pocus, is ultimately naïve. One of Feyerabend’s targets are those scientists who, not even aware of the powerful conditional objectivity of (their) methodological standards, are drawn into a space filled with self-referentiality and a very diminished relevance for other worlds, in which they live and to which they are sometimes still accountable. Science qua research business in closed rooms. There is no easy way out of this problem: on festive occasions, one remembers the productive aporia of the hermeneutic circle, and praises reflexivity and deliberations on giving feedback. But, then, of course, to avoid one’s own loss of reputation, one takes care to appear capable of establishing networks, nationally and internationally, to persuade the keepers of the grail, the guardians of the established standards, the third-party funding experts of one’s worthiness. This results in the system-immanent double standards of festival and everyday life, of which this contribution is itself also part. Could it be any different? In any case, Feyerabend advances a simple proposal to resolve this dilemma, namely his assertion, widely supported by the history of science, that Anything goes. And yet this plain and simple Anything goes in no way means what is meant by its transformation into a sarcastically construed cardboard character. It means neither frivolous arbitrariness, methodological randomness let alone casual standard ignorance. Rather, Feyerabend suggests that scientific progress, which not only served the comfort zone of mutual disciplinary recognition, but actually enabled new perspectives, inventions, discoveries and thought-provoking impulses, was based on its undermining of prevailing heuristic conventions. However, Thomas S. Kuhn had shown this as early as 1962. Feyerabend, though, sharpens this point even further and inflects the epistemological consequences towards a scientific-ethical relativism that does not actually privilege any form of knowledge. If we take Feyerabend as a provocateur in his time and read him against the anarchist grain, then it is far from irrelevant, in the light of his Anything goes, how certain research methods are applied. Why not? Well, because collective experiences and disciplinary control instruments have led to error avoidance in the application of scientific methods. Just think of analytical statistics. In no way does Feyerabend contradict the rigour of exercising proven standards. The conventions of applying concrete methods only become problematic if they lead to heuristic limitations that can be explained only culturally, yet not technically. So what exactly is this Anything goes? Put somewhat emphatically, it is “the only general principle that does not impede progress.” It concerns the identification of scientific frames of reference with a certain corpus of methods, i.e. a specifically formed idea of appropriate procedures. “For every rule,” says Feyerabend, “no matter how ‘fundamental’ or ‘necessary’ it may be for science, there are circumstances under which it is advisable not only to disregard the rule, but to follow its opposite.” As an epistemic maxim, therefore, Anything goes is aimed not at arbitrariness, but at a dominance of heuristics over methodology, of research questions over procedural conventions. This piece can claim to be no more than a problem report, a reminder. In times of recurrent evaluations, parameter-controlled third-party funding balances and peer reviews for journals, edited volumes, application processes and project proposals, our academic practice does not lead me to believe that it allows very much candour. Feyerabend, Paul. Wider den Methodenzwang: Against method. Frankfurt am Main: Suhrkamp, 1986. Hirschi, Caspar. 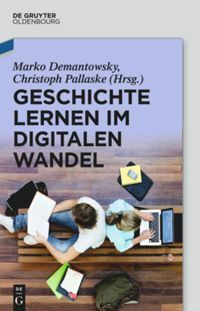 “Vom Nachteil der Peer Review.” Merkur 72 (2018): 5-19. Dahrendorf, Ralf. Konflikt und Freiheit. Auf dem Weg zur Dienstklassengesellschaft. München: Piper, 1972. Translated from the German version: Paul Feyerabend, Wider den Methodenzwang: Against method (Frankfurt am Main: Suhrkamp, 1986), 385. Michael Hagner, “Wider den Populismus. Paul Feyerabends dadaistische Erkenntnistheorie,” Zeithistorische Forschungen/Studies in Contemporary History 14, no. 2 (2017): 369–375. Feyerabend, Wider den Methodenzwang, 249. Feyerabend, Wider den Methodenzwang, 385–397. Bernhard S. Cohn, “History and Anthropology. The state of play,” Comparative Studies in Society and History 22, no. 2 (1980): 198–221, esp. 199–201. Hans-Georg Gadamer, Wahrheit und Methode. Grundzüge einer philosophischen Hermeneutik (Tübingen: J.C.B. Mohr, 1990), 305–312. Jörn Rüsen, Historische Vernunft. Grundzüge einer Historik I: Die Grundlagen der Geschichtswissenschaft (Göttingen: Vandenhoeck&Ruprecht, 1983), 21–32. Siehe zuletzt klar in der Perspektive Caspar Hirschi, “Vom Nachteil der Peer Review,” Merkur 72 (2018): 5-19. Thomas S. Kuhn, The Structure of Scientific Revolutions (Chicago: University of Chicago Press, 1962). To the point that he knocks the great heroes of the history of science like Galieo Galilei off their pedestals and reveals the cultural and social embedding, as well as the contingency of this scientific progress. Cf. Feyerabend, Wider den Methodenzwang across the book. The fact that this approach does not encourage a post-factual and cynical handling of the claims of intersubjective verifiability has recently been demonstrated by Michael Hagner, “Wider den Populismus”. Feyerabend, Wider den Methodenzwang, 21. Feyerabend, Wider den Methodenzwang, 21f. Hirschi’s final creative ideas also seem strangely powerless: Hirschi, “Vom Nachteil der Peer Review,” 18-19. Some of the best graffiti I’ve ever seen, on a stop sign in Centralia, Pa. © Joseph Novak CC-BY 2.0 via Flickr. Demantowsky, Marko: Now we’re done! (It’s time for Feyerabend). In: Public History Weekly 6 (2018) 28, DOI: dx.doi.org/10.1515/phw-2018-12517. Paul Feyerabends Essay “Against Method” von 1975 taucht selten auf, wenn Wissenschaftler*innen versuchen, ihr jeweiliges spezifisches Forschungsprojekt zu kontextualisieren und zu begründen. Ich meine, es als positiven Bezug in einem zu begutachtenden Antrag noch nicht gelesen, in einem Vortrag noch nie gehört zu haben. Höchstens, dass man sich polemisch abhebt, das ja. Etwa so: Nein!, die eigene tolle Studie folge natürlich keinem “Anything goes”, hier herrsche korrektes Methodenbewusstsein! Hier herrsche Ordnung, her mit den Drittmitteln! Kein Wunder, dass Feyerabends Text, der zuerst 1976 auf Englisch erschienen ist und in seiner Zeit enorm erfolgreich war, aus den Bücherregalen der Universitätsbibliotheken noch höchstens für Proseminare zur Einführung in die Erkenntnistheorie entnommen wird, das Netz zeigt eine Menge studentischer Belegarbeiten. Der Grund ist, dass sich Feyerabend über seine Epistemologie hinaus in dieser Schrift als “erkenntnistheoretischer Anarchist” oder gar “Dadaist” aufführt und am Ende gar für einen neuen Laizismus, eine Trennung von Wissenschaft und Staat plädiert. Nun, man könnte sagen, dass der sich neoliberal gebende Gedanke des Grundmittelentzugs im Hochschulwesen vielleicht sogar Feyerabends anarchistischen Wunsch zu erfüllen verspricht, als späte ironische Nemesis, aber so hat der Universitätsprofessor sich das gewiss nicht gewünscht, es hätte ihn, seine eigene Existenz unmöglich gemacht. Und damit möchte natürlich auch niemand von uns in Verbindung gebracht werden. Trotzdem lohnt es sich, hier Feyerabends Ansatz noch etwas nachzugehen. Zunächst wird man feststellen können, dass Feyerabends Idee, die “Wissenschaft [sei] eine der vielen Lebensformen, die die Menschen entwickelt haben…” eine eigentlich kulturanthropologische Perspektive ist, hier nur sehr konsequent auf die/den Wissenschaftler*in selbst zurückgewendet. Wir sind “Missionare im Ruderboot”, um mit Bernard S. Cohn zu sprechen, auch wenn wir über “Missionare im Ruderboot” sprechen. Unsere Kulturalität ist der böse Igel, der den eifrigen Projekte-Hasen zu Tode hetzt. Als Idiot*innen, in der lateinischen Etymologie, waren wir immer schon da, bevor wir zu unseren Ideen, Techniken, Theorien und auch erst zu unseren Fragen kommen, die wir an ein Phänomen der Wirklichkeit richten, indem wir es zu einem Untersuchungsgegenstand machen. 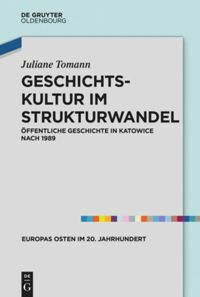 Mit anderen Worten, und hier laufen die Stränge der Kulturanthropologie und der Hermeneutik zusammen, wir leben als Kulturbewohner*innen immer schon in einem komplexen System von Tradition, in einer Gadamer’schen Wirkungsgeschichte, bevor wir überhaupt ein Projekt konzipieren und natürlich auch während wir dies tun, und auch während wir es dann durchführen und interpretieren. Wir, als Forschende, sind in unserem Erkenntnisvermögen und Interessen darüber hinaus immer gleichzeitig Bewohner*innen mehrerer Welten. Feyerabend stößt uns mit der Nase darauf, dass diese Welten interagieren und unsere Vorstellung und Unterstellung, wir könnten jetzt mit drei, vier Methodenstandards, Beeindruckungsvokabeln und etwas Formelhokuspokus diese grundsätzliche kulturelle Bedingtheit unseres Blicks kontrollieren, am Ende doch naiv ist. Das ist eine seiner Zielscheiben: Wissenschaftler*innen, die sich selbst über die bedingte Objektivitätsermöglichungsstärke methodischer Standards nicht im Klaren sind, geraten in einen Raum voller Selbstreferentialitäten und mit stark geschwächtem Relevanzbezug zu anderen Welten, in denen sie leben und denen gegenüber sie zuweilen noch Rechenschaft schuldig sind: Wissenschaft als Forschungsgeschäft in geschlossenen Räumen. Einen einfachen Ausweg gibt es aus dieser Problematik nicht: Man erinnert sich bei festlichen Anlässen der produktiven Aporie des hermeneutischen Zirkels, gelobt Reflexivität und Rückkopplungserwägungen, aber achtet natürlich und bei Strafe des eigenen Reputationsverlusts darauf, für die Gralshüter der etablierten Standards, die Drittmittelgutachtenden, als anschlussfähig zu erscheinen. Das ergibt die systemimmanenten Doppelstandards von Fest und Alltag, auch dieser Beitrag ist selbstredend Teil davon. Feyerabend offeriert jedenfalls einen simplen Auflösungsvorschlag für das Dilemma. Es ist seine, wissenschaftsgeschichtlich breit untermauerte Feststellung: Anything goes. Dieses simple Anything goes heißt nun keineswegs das, was mit seiner Verwandlung in einen sarkastisch konstruierten Pappkameraden gemeint ist. Damit ist nicht leichtfertige Beliebigkeit, forschungsmethodische Willkür oder gar lässige Standardignoranz gemeint, vielmehr zeigt Feyerabend, dass wissenschaftliche Fortschritte, die nicht nur den Wohlfühlraum gegenseitiger disziplinärer Anerkennung bedienten, sondern tatsächlich neue Perspektiven, Erfindungen, Entdeckungen und Denkanstöße ermöglicht haben, darauf beruhten, dass sie herrschende heuristische Konventionen unterliefen. Das hatte Thomas S. Kuhn allerdings schon 1962 gezeigt. Feyerabend spitzt aber weiter zu und dekliniert die epistemologischen Konsequenzen in Richtung eines wissenschaftsethischen Relativismus, der keine Wissensform grundsätzlich privilegiert. Nehmen wir Feyerabend als Provokateur in seiner Zeit und lesen ihn gegen den anarchistischen Strich, dann ist es auch im Lichte dieses Anything goes überhaupt nicht gleichgültig, wie man bestimmte Forschungsmethoden anwendet, denn die kollektiven Erfahrungen und disziplinären Kontrollinstrumentarien haben zu einer Fehlervermeidung in der wissenschaftlichen Methodenanwendung geführt, denken Sie nur an die analytische Statistik. Einer Strenge der Ausübung bewährter Standards widerspricht Feyerabend keineswegs. Die Konventionen in der Anwendung konkreter Methoden werden nur dann problematisch, wenn diese Anwendungskonventionen zu heuristischen Limitationen führen, die nicht technisch, sondern nur kulturell zu erklären sind. Anything goes – was ist das denn nun? Etwas emphatisch: Es sei “der einzige allgemeine Grundsatz, der den Fortschritt nicht behindert”. Es geht um die Identifikation wissenschaftlicher Referenzräume mit einem bestimmten Methodenkorpus, also einer spezifisch ausgeformten Vorstellung von angemessenen Verfahren. “Zu jeder Regel”, so Feyerabend, “sei sie noch so ‘grundlegend’ oder ‘notwendig’ für die Wissenschaft, gibt es Umstände, unter denen es angezeigt ist, die Regel nicht nur zu missachten, sondern ihrem Gegenteil zu folgen.” Anything goes als epistemische Maxime geht also nicht auf Beliebigkeit, sondern auf eine Dominanz der Heuristik über die Methodik, der Forschungsfrage über die Verfahrenskonventionen. Dies kann erst einmal nur eine Problemanzeige sein, eine Erinnerung. Unsere akademische Praxis sieht in den Zeiten sich immer wiederholender Evaluierungen, parametergesteuerter Drittmittelbilanzen und Peer Reviews für Zeitschriften, Sammelbände und Bewerbungsverfahren und Projektanträge nicht so aus, als ob sie viel solchen Freimut zuließe. Paul Feyerabend, Wider den Methodenzwang: Against method (Frankfurt am Main: Suhrkamp, 1986), 385. Michael Hagner. “Wider den Populismus. Paul Feyerabends dadaistische Erkenntnistheorie,” Zeithistorische Forschungen/Studies in Contemporary History 14, 2 (2017): 369–375. Bernhard S. Cohn, “History and Anthropology. The state of play,” Comparative Studies in Society and History 22, no. 2 (1980): 198-221, part. 199–201. Thomas S. Kuhn, Die Struktur wissenschaftlicher Revolutionen (Frankfurt am Main: Suhrkamp, 1967). Bis dahin, dass er die großen Helden der Wissenschaftsgeschichte wie Galileo Galilei von ihrem Sockel holt und die kulturelle und soziale Einbettung, auch die Kontingenz dieses wissenschaftlichen Fortschritts zeigt. Vgl. Feyerabend, Wider den Methodenzwang quer durchs Buch. Dass dieser Ansatz einem post-faktischen und zynischen Umgang mit dem Ansprüchen intersubjektiver Überprüfbarkeit keinen Vorschub leistet, das zeigte zuletzt Michael Hagner, Wider den Populismus. Auch Hirschis konstruktive Gestaltungs-Ideen (2018) wirken seltsam kraftlos: Hirschi, “Vom Nachteil der Peer Review,” 18f. Demantowsky, Marko: Jetzt aber Feyerabend! 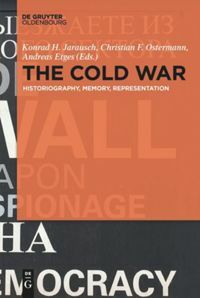 In: Public History Weekly 6 (2018) 28, DOI: dx.doi.org/10.1515/phw-2018-12517. An Paul Feyerabend zu erinnern, ist in einer zum Infantilismus neigenden Kultur mehr als angeraten: Dem humorvollen Denker Feyerabend war es ein Anliegen, den falschen Ernst in der um grosse Gesten nie verlegenen Wissenschaft mit einem Augenzwinkern zu entlarven. Die Ablehnung, die er Zeit Lebens – den Ruhm, den ihn in Berkeley und Zürich umgab, war eher der eines Hofnarren – und darüber hinaus erfuhr, rührt nicht zuletzt daher, dass er für keinen Spass zu haben war: Der Anspruch der Wissenschaft, es zu wissen, hat im besten Falle etwas Spassiges, über das man lachen könnte, wenn es nicht so ernste Konsequenzen hätte. Um die Probe auf`s Exempel zu machen, schaue man sich beispielsweise die tonangebenden Theorien der Wirtschaftswissenschaften an. Daneben wirken bereits die Titel seiner Werke wie die eines Rufers aus einer anderen Welt: «Erkenntnis für freie Menschen» oder «Wissenschaft als Kunst». When we look at Paul Feyerabend as a science theorist, we both meet and underestimate what he does in his work, especially in his famous essay ‘Against Method’. There, Feyerabend does not simply question the self-narration by which scientists of the 20th (and, as we can observe easily, also of the 21st) century assure and immunize themselves against anticipated critique from inside and outside of science. To do only this would end up in the very same circle this narration establishes: it would give it another reason to fortify itself. No, Feyerabend uses this very strategy of self-immunization against the scientific, as we could call it, automythopoiesis, by making it visible. In this regard, ‘Against Method’ is a strategical text, a dialectical intervention, calculating with the expectable reactions from the advocates of a scientific world-view. It’s this world-view, not science itself, which is the opponent of Feyerabend’s argument and intervention. He doesn’t call out scientific method itself, as the title of his essay feigns in the most provoking way. Of course, his substantial critique of what science does – for example in the famous chapter on Galilei – is a critique of method, it deals with the unavoidable rhetoric of scientific arguments, especially those which attempt to establish a new, unfamiliar and unusual point of view. But the real foe of Feyerabend’s essay is scientism, the metaphysical world-view that only the perspective of natural science holds the one and only true sight, attitude, and belief. To show this, one has to leave the very circle science draws with its selfnarration of being the one and only relevant measure of any assertion about anything and any human being. Obviously, this is inherently problematic. In the discourse of scientism, there are only two ways: you adopt a scientific perspective, then critique will never leave the common ground and, therefore, will never be fundamental or radical. Or you leave the scientific perspective, then your critique is ‘unscientific’ and, therefore, not to be taken seriously. Scientism, as any dogmatic position, establishes a double-bind, an imperative of submission by punishment of exclusion (and, therefore, submission again). Feyerabend, as we see in his essay, is well aware of this double-bind and the ideological authority of scientism. His approach is, however, not one that is clearly anticipated by his opponent. As any dogmatic position, also scientism uses generalistic statements to include or to exclude arguments from scientific authority. Therefore, Feyerabend mixes provocative statements and polemical interventions, mostly at the beginning of the book, with more serious analyses of scientific method and rhetorics, set somewhat later in the argument. The strategical calculus of this approach: to get reactions to the mere provocation (which even explicates itself as such) while the very argument is being ignored or put down by a strawman based on the provocation. By such a reaction, the advocates of scientism would show explicitly what the belief of scientism already implies: that they are unfit to proceed by scientific method, unable to read properly, and unable to simply analyse what is given. Feyerabend’s anticipation was simply right. His book was shred to pieces in reviews, most of them resting on the same small count of provocative phrases Feyerabend laid out as bait for precisely this reaction. But he clearly underestimated his foe. As they did with the critical voices from France, who also tried to question the dogma of a natural scientific or a human scientific world-view and establishment, Feyerabend was put in the ‘relativism’-box, excluded from scientific discourse. And if he hoped for readers who were able to see what he did there – well, these, he overestimated. Of course, there were not only readers but also reviewers who actually saw what he did there. They remembered, as Wulf Reder in his commendable review of ‘Against Method’, that scientific training once rested upon a humanistic foundation. Leibniz, Newton, Kant – all of these were universally interested and schooled intellectuals. Consistently, Reder did not depart from the “Froschmäusekrieg” between Kuhn and Popper, but from E. T. A. Hoffmann’s ‘Kater Murr’ (The Life and Opinions of the Tomcat Murr) and the foreword of Hoffmann’s ‘Prinzessin Brambilla’ (Princess Brambilla), as well as Kierkegaard’s ‘Philosophischen Brocken’ (Philosophical Fragments). One could easily add Leon Battista Alberti’s ‘Momus’ or Swift’s ‘Gulliver’s Travels’ to this collection, as they both are satires of the world-views of their time. To understand Feyerabend’s ‘Against Method’, one has to understand the function of satire against totalitarian world-views and the way it floats and circulates it with contexts unknown to it. It uses subversive methods of allusion, dialectical trickery, and baits and traps to decoy these world-views out in the open in order to show themselves. And one could say that the way Feyerabend is seen today – as a prophet of ‘anything goes’ and of ‘postmodernism’ – actually proves him right. And perhaps, we could learn something from the example he gives us with his intervention. Because we are, today, not only in the same situation, but in a forced version of his situation, in which the ideology of scientism and technologism, together with the economization of everything, has begun to destroy our public discourse and our educational systems. It’s so accepted that it can afford to be more and more visible, but by its own account and conditions. The window of opposition is closing.